FAMILY FRIENDLY HOME! PRIVATE HOT TUB!!! At Pinnacle Ridge you'll enjoy luxury condo living and the uncrowded slopes of Whitefish Mountain Resort at Big Mountain rated #20 out of the nations top 50 resorts by SKI Magazine. Boasting over 3,000 acres of slopes, high-speed quad lifts, and runs suitable for beginning to expert skiers, this outstanding destination, says SKI Magazine, offers 'sublime skiing and the legendary small-town atmosphere of nearby Whitefish'. Serious snow, fantastic powder skiing, breathtaking scenery, and genuine Montana hospitality make Whitefish Montana Resort an ideal place to vacation. And if your winter recreation interest include snowmobiling, snowshoeing, Nordic skiing, or sleigh rides, you'll find these and other activities just minutes away. The historic Western town of Whitefish only 15 minutes from the mountain, offers gourmet and casual dining, microbreweries, galleries, and boutiques. Sophisticated yet unspoiled, Whitefish host musical. theatrical, and sporting events for your entertainment. Property Policy: Cancellations made by guests must be made 45 days in advance. A refund of the deposit will only be issued after property is re-booked. The maximum sleeping capacity is 6 people. Check in time is 4:00 p.m. (Early entry is sometimes allowed, but must be arranged a head of time). Check out time is 10 a.m. (Late check out is sometimes allowed, but must also be arranged a head of time). Housekeeping is done upon departure, however a mid-week service is avaiable for a fee, please inquire. For maintenance emergencies please call Jean or Bill. Property Policy- Liabilitiy and damage: The owner is not liable for your lost or damaged items. A locking code will be given to you upon full payment. Pets are not permited. You must be 21 and over to rent the property. Property damage of common or private property includes: physical damage, excessive cleaning, defacing property, excessive noise, littering, lude public behavior, missing items/ theft. Guests must agree to pay for all private or common property damage by the guest themselves. Guests may also be evicted. Refunds will not be issued in the event of an eviction. The owner reserves the right to request Guest account inactivation. Property Policy- Noise restrictions: Quite hours are from 10:00 p.m. until 9:00 a.m.
We have traveled all around the world have 3 adult children and love skiing, boating and golfing. Large Deck, Private Hot Tub, Steps from Ski mountain, restaurants and bars. We really enjoyed our stay. The condo had plenty of room, a great hot tub and was a quick walm to the ski in/out. 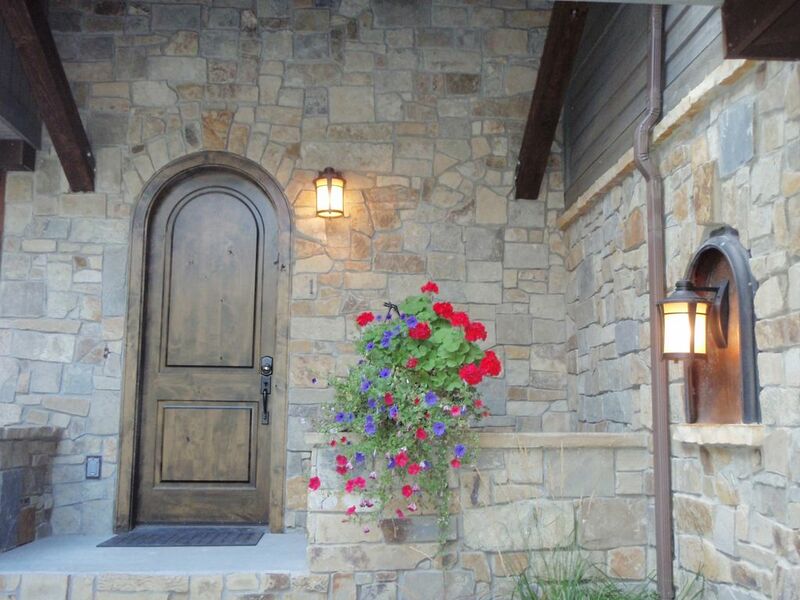 Beautiful condo with convenient location in the Whitefish Ski Resort. Well equipped with everything we needed during our stay. The pictures didn't do it justice! Can’t ask for much more! Clean, convenient and well equipped. Would definitely return. All rates are in US dollars WE WILL NEVER ASK FOR A WIRE TRANSFER, OR SEND A REFUND FORM WITH YOUR INVOICE. WE ARE LOCAL ALL OF OUR PHONE NUMBERS AND ADDRESSES ARE LOCAL. PLEASE CALL IF YOU HAVE ANY QUESTIONS!! !